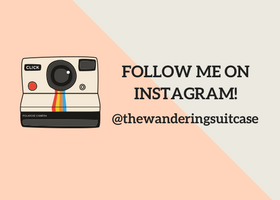 While we live in an age of perfect Instagram shots, blemish-free photos, and pristine holiday snaps, I want to be 100% honest and authentic about my first zero-waste holiday. 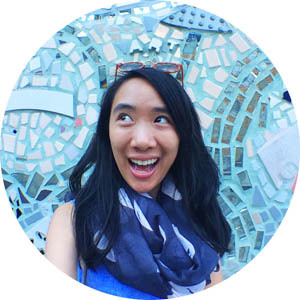 Before I left for Vietnam, I had dreams of the perfect zero-waste holiday. I wouldn’t use any straws, plastic drink bottles and I would make sustainable travel choices. After all, my switch to a more sustainable life at home was achievable. So how hard could it be when traveling? 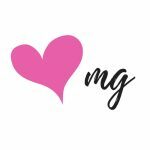 It turns out your life when traveling is not the same as when you’re at home (duh, MG), so let’s say… my holiday was not entirely zero waste. 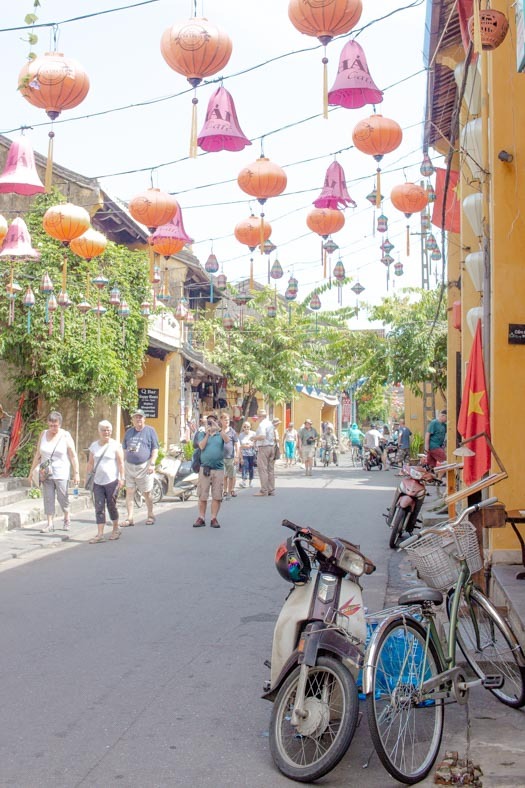 Psst – want some practical, no BS tips on traveling zero waste and responsibly in Vietnam? 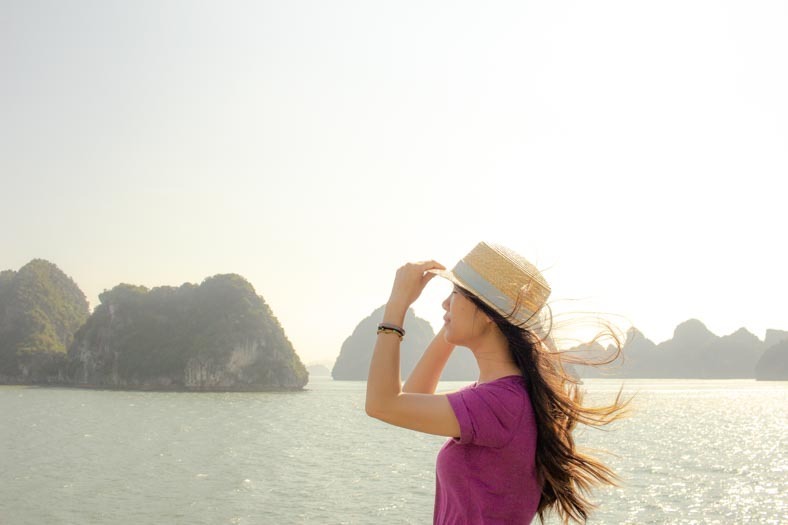 I’ve put together a guide on responsible travel in Vietnam that you can check out here! 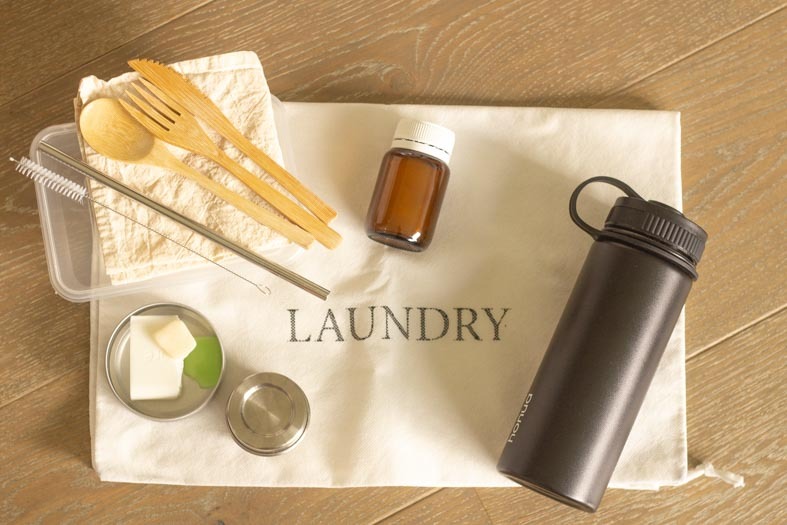 Some of my zero-waste travel essentials: bamboo cutlery, reusable straw, a container for leftovers, soap + shampoos, bulk moisturizer and cleanser, drink bottle and laundry bag for dirty clothes! I’m going to be 100% honest here… I failed on (1), but kicked goals in (2) and (3). Unfortunately, on this trip, my dreams didn’t become a reality, BUT I have a bucket load of learnings from my most recent trip, which I can’t wait to share with others! 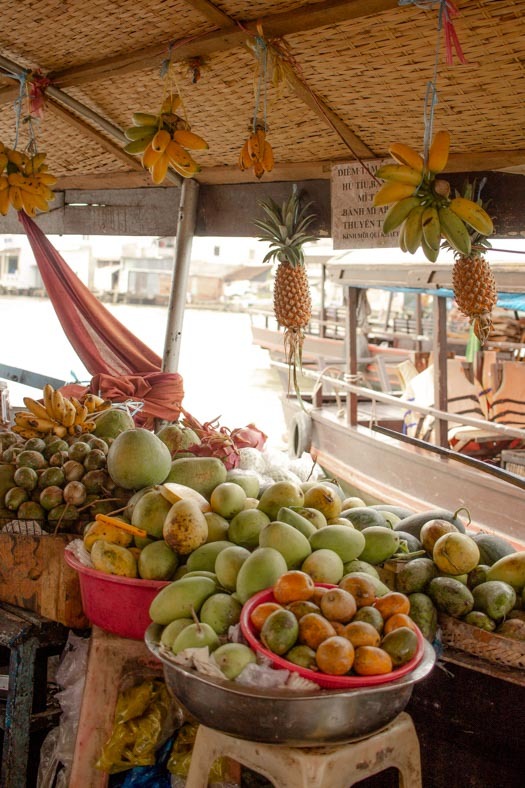 Fruit – heaven for those trying to travel zero waste! Like many South East Asian countries, Vietnam has a deep love of all things plastic. 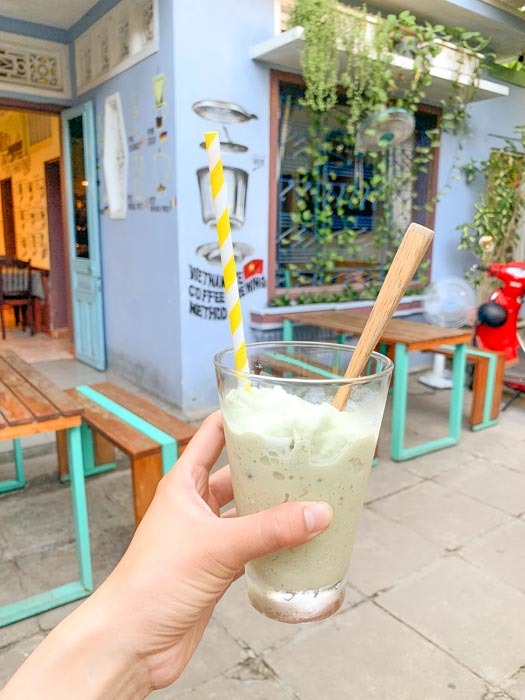 The idea of reducing your single-use plastic is foreign to many, but there are growing movements in major cities like Ho Chi Minh City (Saigon) and Hanoi which are slowly gaining momentum. For me, my two most significant challenges involved the inevitable language barrier and clean drinking water. Let me get one thing straight before I continue. I’m awful at languages. I was born into a multi-language household, to parents who speak multiple languages, a grandmother who doesn’t speak English, and still English is the only language I can speak. I attempted when I was in school to learn French (because hey French is kind of similar to English… Right?) this was not successful, because to this day my French is limited to ordering food because #priorities Y’all. Unfortunately, my poor Vietnamese was not going to improve – I could barely remember how to say hello, and I’m pretty sure our local tour guide in Hue semi-gave-up on teaching me how to pronounce the name of a local Tomb correctly. So it comes as no surprise when I tried to ask for my drinks without straws didn’t work. I don’t blame any of my servers or waiters/waitresses, but instead myself. After all, the Australian accent probably doesn’t help things when you’re trying to ask for your cold drink without a straw. Note: waving my reusable straw around did not help. I have no idea what my server thought I was doing, but they probably thought I was mad. I did have some wins, however. 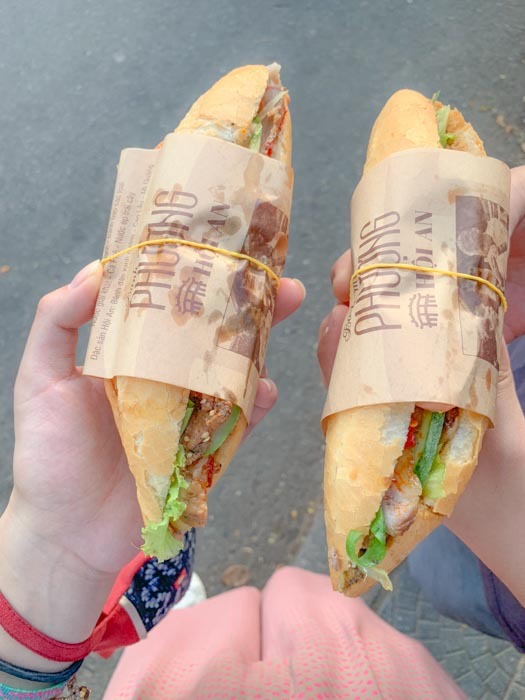 It was relatively easy to refuse plastic bags when getting take out Banh Mi, or when souvenir shopping. Most people understood this (even given my lack of Vietnamese) especially when they were about to whip the bag out. I’m not going to lie – it was a little frustrating to see the plastic I was consuming, and I started to order hot drinks (yes, hot drinks!) to avoid the inevitable straw I would get. Given my poor language skills, I’m not sure language classes would help the next time I travel. For future trips, I’m planning to ask friends who speak the local language (or consulting with my friend google) and print out the appropriate phrases to avoid straws, plastic bags, etc. In many Southeast Asian countries, refusing plastic is not as popular as it is at home in Australia. As more people become aware of the impact our single-use plastic consumption has on the environment, I do think travel will become easier. So for anyone out there who wants to travel AND reduce unnecessary waste – keep at it, my friends! I initially contemplated purchasing a Steripen (a small contraption which uses UV light to sterilize water). I expressed as much to my doctor when getting my vaccination, but after receiving his look of horror, and informing me there was very little research into the effectiveness of such tools, I decided against it. I know, I know… I had my heart set on a filtering/cleaning system, so it was a little scary knowing I would be traveling without a tool that would help me clean my drinking water. But, I have had a history of becoming ill while traveling, so I didn’t want to risk it. Zero waste shouldn’t be at the detriment of our health. Being sick or unwell often results in us needing to use products that are not environmentally friendly. My saving grace in this instance was the many hotels in Vietnam that have filtered water or bulk water which they purchase. Additionally, you can download an app called Refill Bali (yes – it’s called Refill Bali but has maps for Vietnam too – just ignore the name!) which shows you nearby shops and restaurants which have clean drinking water which you can refill your bottles. Some offer this as a free service, others provide it for a small fee. Both the Refill app and filtered taps were great options for me; however, there were some instances where our hotel didn’t have a filter, and there were no nearby water refill points. My plastic consumption in this instance wasn’t what I wanted it to be (zero!) but clean drinking water is so crucial to our health. While my trip started off zero waste, it became a trip for zero(ish) waste. It’s hard at the end of a travel day to realize you have contributed to more single-use plastics in the landfill, and I won’t lie and tell you it was easy to know exactly how much was out there as a result of my travels. It’s hard not to feel guilty – but at the end of the day, we all do the best we can. I know with more experience I will get better at traveling zero waste, and I know instances like this are about progression – not perfection! Being harsh on myself might result in me throwing in the towel and giving up. I want to learn from my experiences. Not only for the next time I travel but also to document what I’ve learned for my fellow travelers, so they don’t make the same mistakes I have. Have you attempted a zero waste trip? Where did you go? What was your experience like?